Top and left: adult lincgod photographed by Mike Munroe. Right: juvenile lingcod photographed by Peter Gibbs. 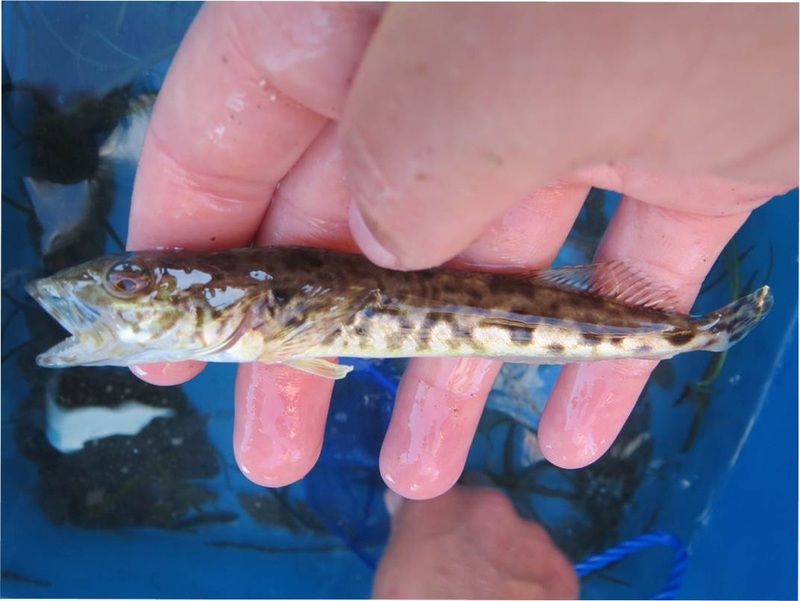 This greenling gets up to 1.5 m long and can weigh almost 50 kg. It has a large head and mouth, and a tapering body with mottled green, brown, or grey colouring. Its dorsal fin is long and somewhat notched. 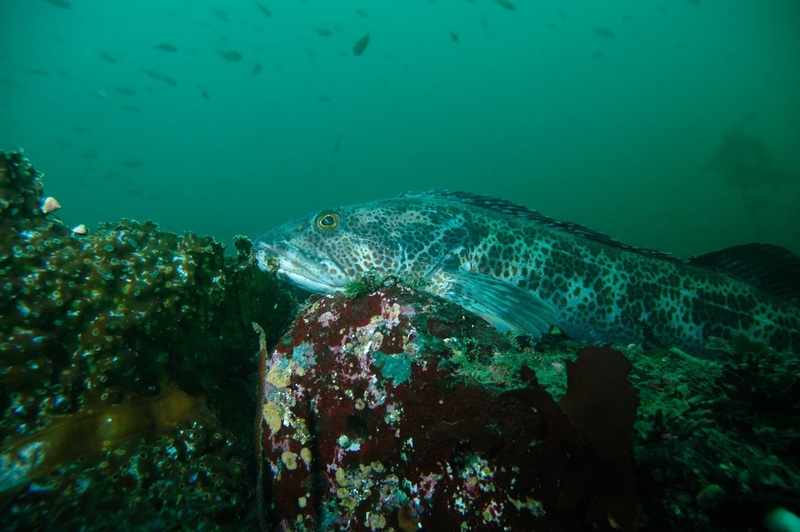 The lingcod inhabits kelp beds and rocky reefs and is common from shallow water to depths of 450 m; it has been recorded at a depth of 2000 m. Juveniles are found near the surface of sandy- and muddy-bottomed bays and other inshore locations. The lingcod ranges from the Bering Sea to northern Mexico; within this range there are both non-migratory populations and migratory populations, which move between shallow and deep water. This species is harvested commercially and was once a key target for spear-fishermen and other sport fishermen, but is now subject to harvest restrictions due to drastic population depletion. Minimum-size restrictions, catch limits, and other conservation efforts have been implemented in the hopes of aiding this species' recovery. 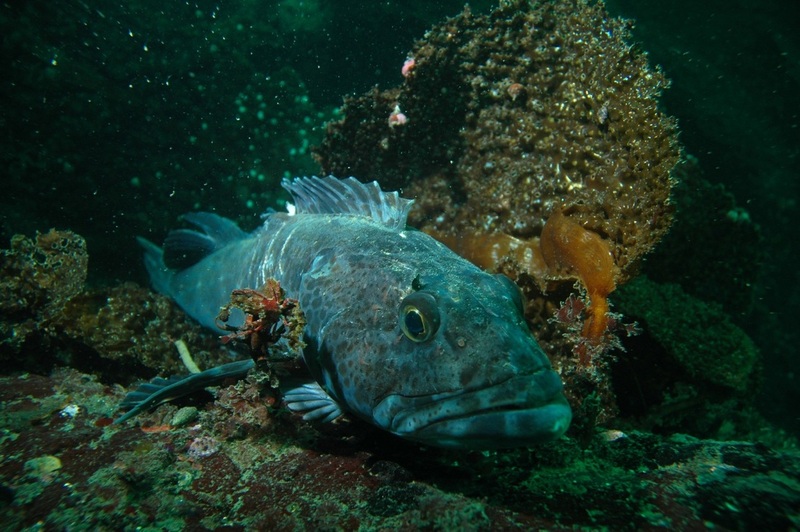 One conservation effort is the Vancouver Aquarium's Lingcod Egg Mass Survey, which asks recreational divers to gather information on lingcod eggs. While stock levels are not well known, they are thought to be stable but low. For more information see the Monterey Bay Aquarium Seafood Watch report for this species, and consider the Seafood Watch Lingcod Recommendations when buying lingcod from a store or ordering it at a restaurant. Much of the commercial catch is used in making fish and chips. 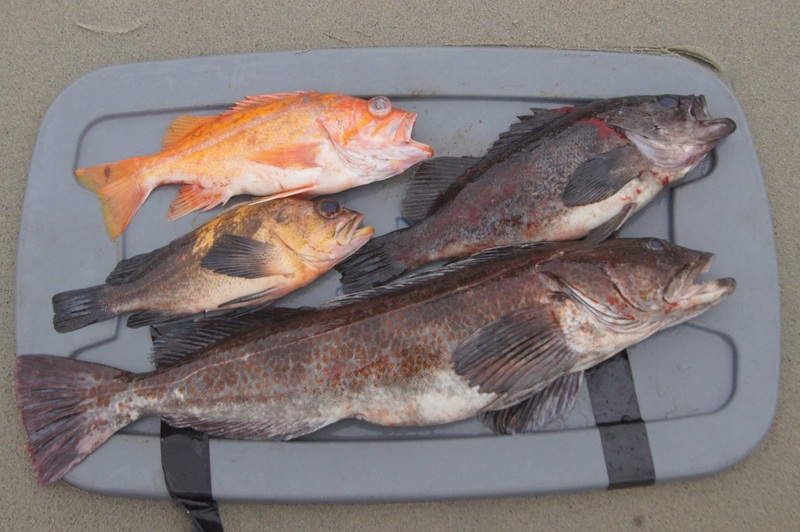 A lingcod (bottom) alongside a canary rockfish, a quillback rockfish, and a black rockfish. Photo by Katie Davidson. Froese, R. and Luna, S.M. Ophiodon elongatus Girard,1854 Lingcod. FishBase. Accessed 22/12/2014. Harbo, R. M. (1999). Whelks to whales: Coastal marine life of the Pacific Northwest. Madeira Park, BC: Harbour Publishing. P. 221. Lamb, A. and Edgell, P. Coastal Fishes of the Pacific Northwest. Revised. (2010). Madeira Park, BC: Harbour Publishing. Pp. 194-195. Tetreault, I. (2007). Lingcod (Ophiodon elongatus) Alaska and British Columbia. Seafood Watch Seafood Report. Monterey Bay Aquarium.